As you know there is no XML destination in SSIS. 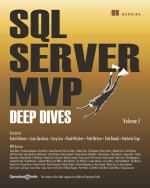 so how you can save result of a query from sql server to XML file? and the Root node is 'Extract'. for more information about FOR XML in sql server look here . 1- Create a Variable of String type in package scope, and name it as XMLData. Set ResultSet property to XML. 3- Add a Script Task after execute sql task, set language as C#. and set ReadOnlyVariables as User::XMLData . now just run the package and result of query will save in xml file specified. Hi, Thanks it was working for me, but it is taking more time(25 min) in storing XML data to variable in Execute SQL task. The stored procedure is executing just 9 sec. I am wondering why storing XML data into variable is taking long?Is there any way to improve the performance? I am using Sqlserver 2008. XMLData is defined in your pkg as a string. How do you adjust for when it blows the 4000 char size limit? Mine works fine except when my SQL returns a large resultset that blows up the package because of the 4000 limit. thanks for your help.